Freewheel Spa will be closed April 15 through May 13, 2019 for Holy Week, Easter and vacation. Please don't ship any freewheels for service any later than April 10th and not before May 9th. Thank you for understanding. ​However, please use the "Contact Me Via Email" button below to schedule your service, ask questions, catch-up, etc.. I will check my email several times a week and I look forward to working with you. 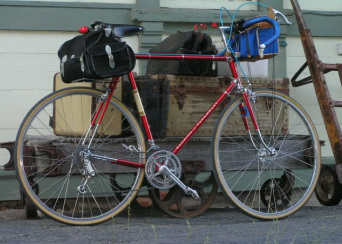 Do you love your Classic and Vintage bike? Do you want it to purrrrr and click like new? Clean it inside and out to a like new condition with biodegradable eco-friendly water based cleaners! Check pawls and bearings and replace as needed! (extra charge)! Check spacers and replace as needed (extra charge)! 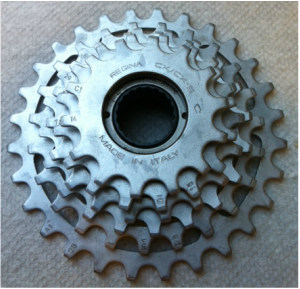 Check cogs and replace as needed (extra charge)! Grease bearings and races with long lasting quality synthetic grease! Return it to you promptly in nearly new working order. 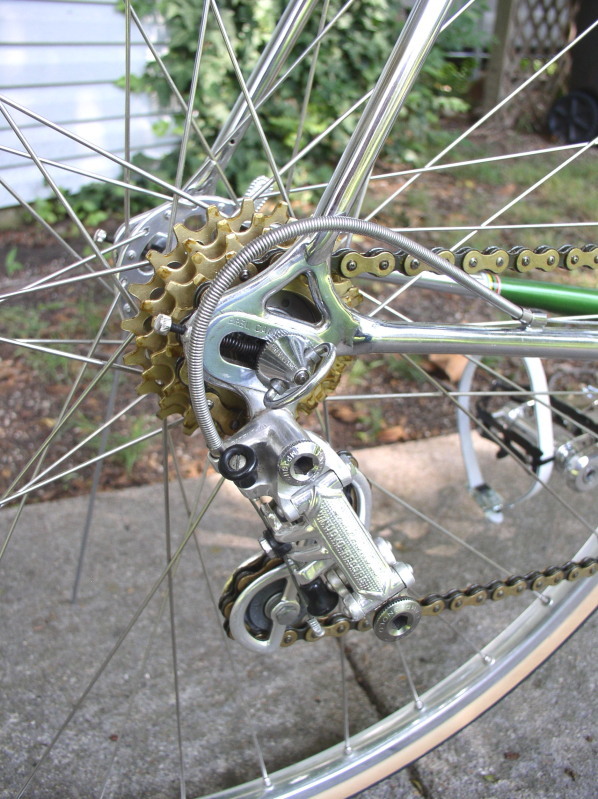 + I can work on other freewheels such as Atom, Sunrace, Maillard, Schwinn Approved, etc. on a case by case basis. OTHER SERVICES: Chain cleaning and lube. See "Services"
A Happy Freewheel Spa Customer! A very happy young rider after her vintage Regina Corsa was serviced in the Spa. Her local bike shop had told her, "Your Regina is shot!" This Regina CX does not look like "trash" to me! 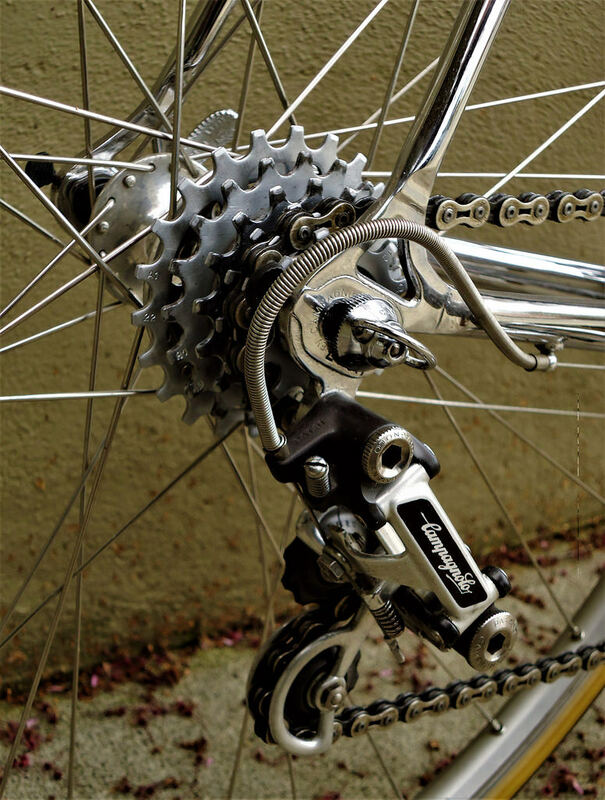 Vintage Campagnolo ~ Regina Beauties! Spa-Happy! Ready to Ride! Regina Ora Gold Perfection after the Spa Treatment!